The John Deere has found a new home in the garage of an old time farmer, who used all John Deere equipment on his farm for 50+ years. He recently retired, and needed a good reliable mower that would double as a fun activity for the grand kids (smart old man, eh?). 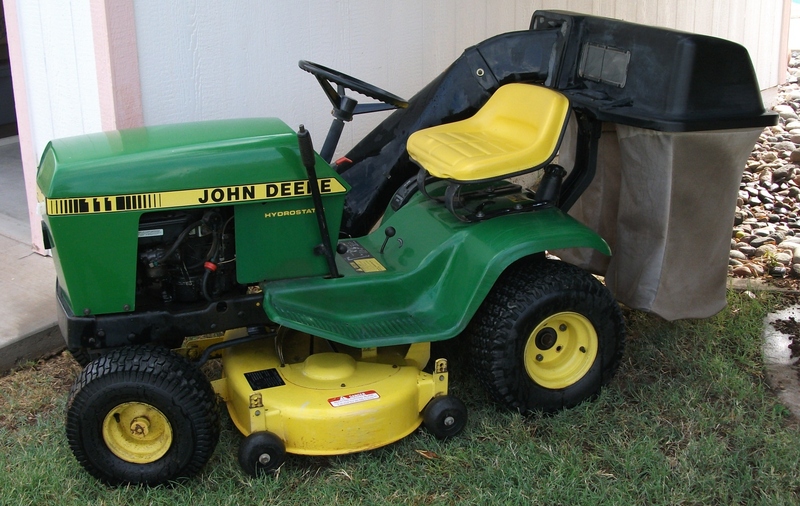 So, since we had almost all of the grass that was left in the yard covered over with beautiful rustic pavers, the John Deere went on Craigslist, and sold in 20 minutes to the first person who called. That made me have to bring the 43 year old Toro Whirlwind mower out of mothballs and restore it so I could mow that last remaining 16′ X 16′ patch of grass in the back yard. I bought that mower for my parents’ house back in New Jersey, when I was just a kid, and it came with them when they moved here in 1989 and has been in the shed ever since. I tore it apart, ordered all of the rubber and fuel system parts from Briggs & Stratton directly, (one of the “O” rings was listed on their site for FIVE CENTS) and had it start on the second pull of the “Easy Spin” starter. It didn’t even need a blade sharpening as my dad used to keep it finely tuned all those years ago. When I moved into this house 20+ years ago, the entire front yard was grass. About 6000 sq. ft. of deep thick Bermuda grass that, in the peak of the summer, needed mowing twice a week. 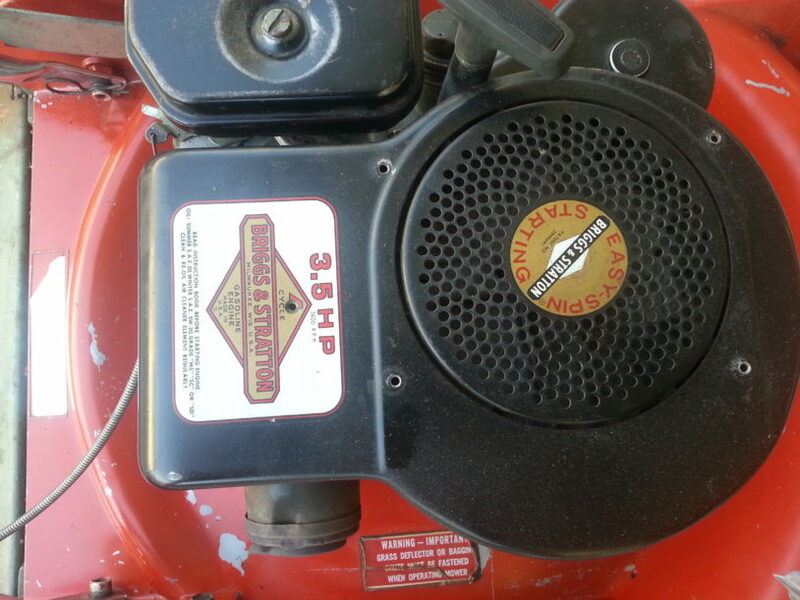 It didn’t take me long to figure out that my old push mower was going to need a major upgrade. I started looking in the local paper for a riding mower, and soon spotted an ad for a 1983 John Deere Model 111 Hydrostatic Garden Tractor with a twin blade mower deck. Just the ticket! It was in very nice condition, well used, but pretty clean and it started right up and ran smoothly. When I asked the owner why he was selling it, he explained that for his rather large back yard, this little single cylinder, 11 horsepower engine just didn’t have enough power to deal with the tall grass and weeds. He intended for the money from the sale of the Deere to go to a twin cylinder Craftsman. Who was I to argue? I loaded it up and brought it home. The other day I was washing my truck, I decided to do a really thorough job and pull the big rubber mat out of the bed and clean all the mung out from underneath. As I pulled it out, I noticed that it was somewhat “stiffer” than I remembered it being, and it was a little bit hard to peel out of the bed. I got an interesting call for help this last week that turned out to be very educational and a little humbling. A friend of mine called with what sounded like a simple electrical problem on a 1951 (yes, older than I am) Chevrolet Pickup truck. He said that he had installed a retro-fit turn signal system on it, complete with a nice chromed turn signal switch that mounts to the steering column with a stainless steel hose clamp, and replacement sockets for the lights on all four corners of the car to accommodate the new 1157 double filament bulbs .